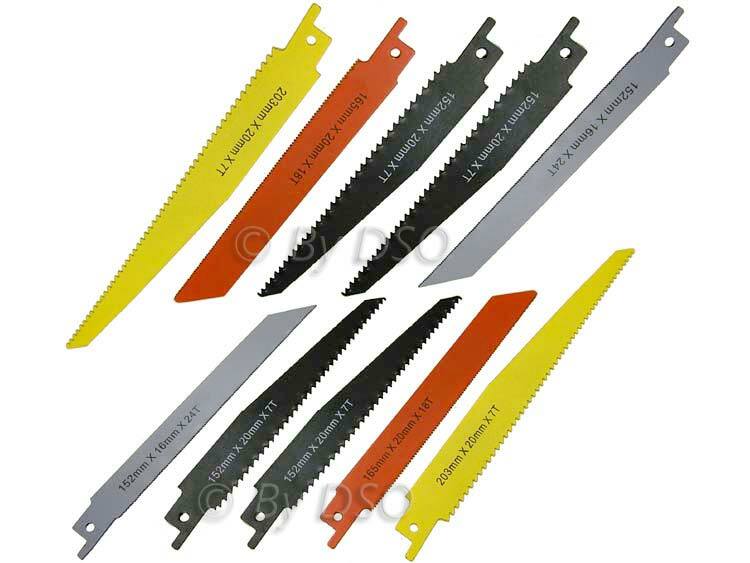 You get four types of industrial quality hardened reciprocating saw blades for use making straight and fine cuts in metal and wood. These blades will fit any reciprocating saw because it uses a 1.27 cm (1/2 inch) shank. You can use these blades on fine and straight cuts in wood and metal as well as curved cuts in wood and for use out in the garden pruning trees and shrubs. Perfect for the professional or for use around the home if you're a DIY'er.